were randomly drawn a player competing in the Championship. going to Roxby Downs Golf Club who drew the winner Jin Young Ko. in the small mining town of Roxby Downs. The club has 87 members. runner up, third, greens in regulation and putting average (clubs can win only one prize). South Australian Stephanie finished tied 19th picking up a cool $17,256.78! Well done Steph! 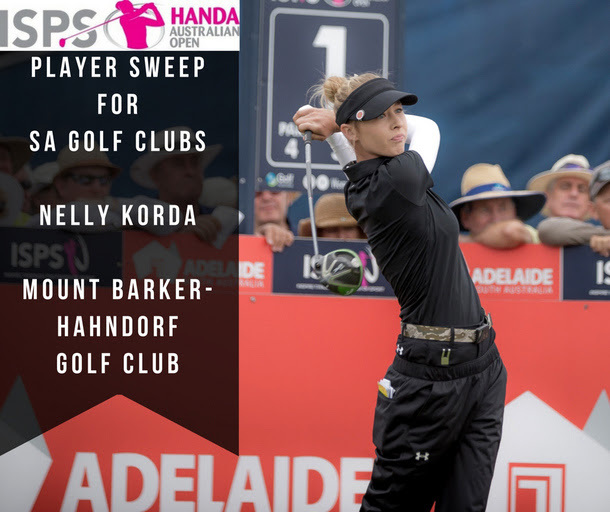 ADELAIDE: The preparations are complete as the LPGA Tour co-sanctioned ISPS Handa Women’s Australian Open is ready to roll at Kooyonga Golf Club. At 7am (Adelaide Time) Thursday, the first of 144 players will begin the quest for the Patricia Bridges Bowl. 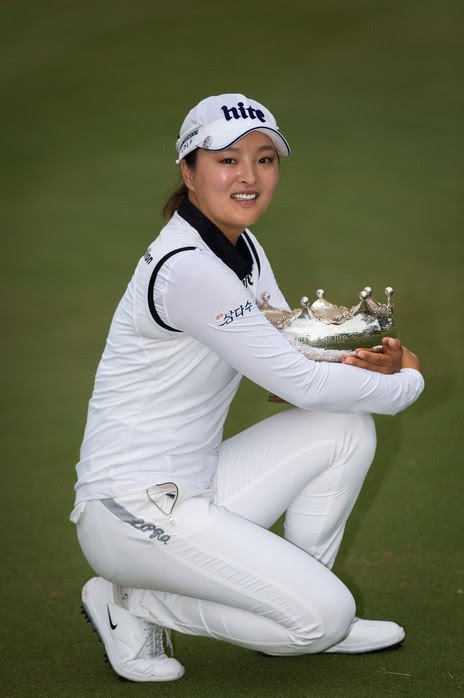 For full online coverage, follow the news and video links from the tournament homepage at www.womensausopen.com from first tee time Thursday. 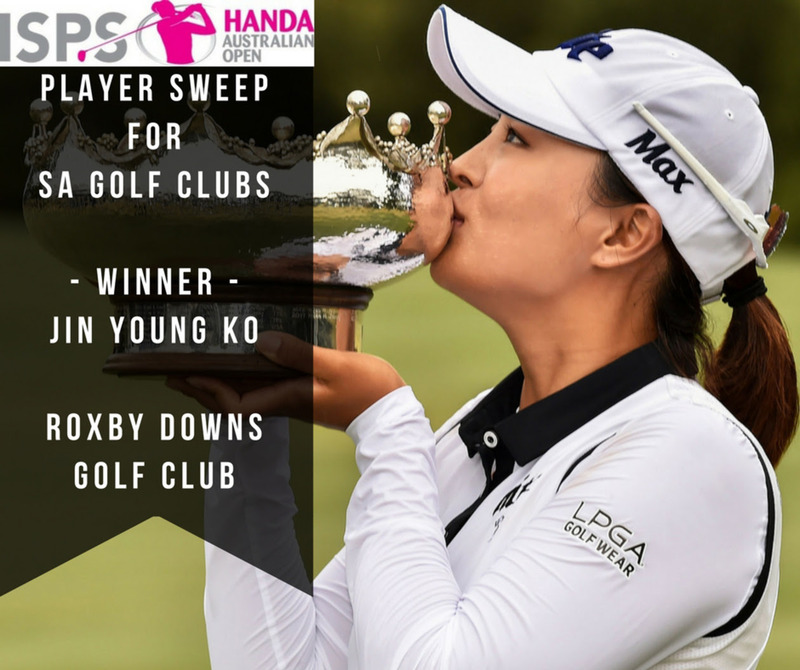 The Women's Australian Open Golf Player / SA Golf Club Sweep conducted by Golf SA has now been finalised. With the championship starting this Thursday at Kooyonga Golf Club take a look to see which player your club has drawn...and perhaps give them a bit of extra support this week! Prizes awarded to the club who draws the champion ($1,000 marketing grant and signed pin flag), runner up, third placegetter, for low putting average and greens in regulation! 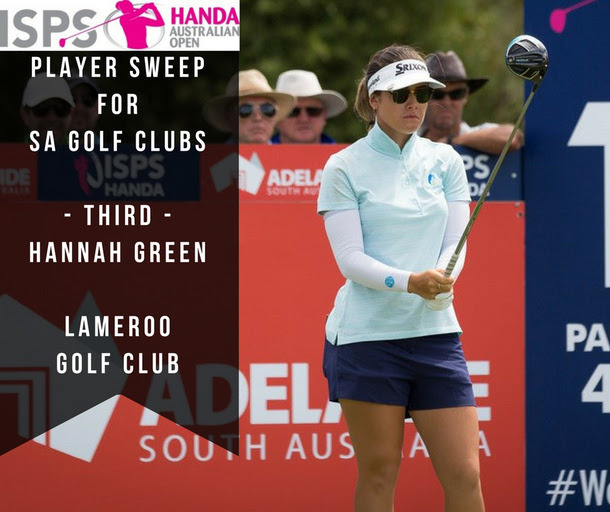 Adelaide has secured the ISPS Handa Women’s Australian Open for another three years beyond this week’s event at Kooyonga. Golf Australia and the South Australian Government today announced a new three-year deal for the South Australian capital to keep the world class tournament until at least 2021. The Board of Golf SA Inc invites nominations from interested females to fill a Casual Vacancy on the Board. Under the current Constitution the Board comprises of seven Elected Directors and up to two Appointed Directors providing there is a minimum of 40% of either gender in the total composition of the Board. A resignation (at the end of Term) has caused a Casual Vacancy for a female that the Board seeks to fill as a matter of priority. With one of Australia’s premier female sports events heading back to Adelaide, we want as many club members as possible to get out and support the event. That’s why Golf Australia is offering ‘two for the price of one’ tickets to all South Australian golf clubs (capped at your total membership level). *Please contact your club asap to inquire about the ticket offer. Thank you for supporting this great event. We look forward to seeing you at Kooyonga Golf Club in February 2018. Two of the world’s most popular players have confirmed they’ll be playing at Adelaide’s Kooyonga Golf Club next month. Will sell out....only three tables left! Kerri-Anne Kennerley will again host the popular Charity Gala with all the stars of the 2018 event, in aid of Soldier On. Registrations open on Friday 1 Dec at 12pm for the Golf SA Open Day at The Grange GC. Cost: $65 per player. Must be a current Club Member with a golflink number. Prize Vouchers: 1st, 2nd, 3rd place in both divisions and NTP's all par 3's and longest drive. 7 - Motorised Transport: Ride-on buggies will be permitted. Players wishing to book golf carts should do so in advance directly with The Grange Golf Club Pro Shop. Contact the Pro Shop on (08) 8356 3070 for more details. 8 - Cancellations & Booking Enquiries: For all cancellations, including in the event of extreme heat, please contact the booking provider (as per your booking receipt details) advising your withdrawal and request of a refund. For cancellations after Wed 5pm (the week prior to the Mon event) please *also* contact The Grange Golf Golf Club pro shop on (08) 8356 3070 to ensure you are withdrawn from the booking sheet Please note that refunds will not be offered if the above is not adhered to. 10 - Dress Codes Regulations: Players must observe host club dress regulations for The Grange Golf Club as the club has right of refusal for players not observing dress codes. The 9th Annual General Meeting of Golf SA was held on Saturday 21st October 2017 at The Playford prior to the Awards Night. As a result of the elections, Tony Timmins was re-elected and Rod Phillips was elected to the Board of Golf SA. Tony Bourne and Josie Gale did not stand for re-election. Golf SA thanks both Josie and Tony for their contribution to the Board of Golf SA during their terms. The achievements of the South Australian Golf Industry have been celebrated with 200 golfing representatives from around the state at the South Australian Golf Industry Awards Night held at the Adelaide Convention Centre on the evening of Saturday 22 October. In total 15 awards were presented as part of the SA Industry Awards Night, which covered industry specific awards from Golf SA, PGA of Australia, Golf Management Australia (SA) and the SA Golf Course Superintendents Association as well as awards for volunteer contributions to the game from both Metropolitan and Country areas. Amongst the highlights of the Awards evening was the presentation of the Award for Service to the South Australian Golf Industry. This award was presented to Dr Ian McInnes OAM from Loxton, for his outstanding and on-going contribution to golf in South Australia at all levels for over half a century. Dr McInnes received a standing ovation when accepting his award. The 8th Annual General Meeting of Golf SA was held on Saturday 22th October 2016 at the Adelaide Convention Centre prior to the Awards Night. As a result of the elections, Bill Klaebe (Clare Golf Club) and Tony Bourne (The Grange Golf Club) were re-elected to the Board. Sarah Chia (Royal Adelaide Golf Club) who was a casual appointment in Oct 2015 was elected to the Board. In accordance with Rule 6.1 (b) the Board elected Tony Timmins on Sunday 23 October who will act as Chair of the Board. The Annual General Meeting also reappointed the firm of BDO SA of Level 7, BDO Centre, 420 King William Street, Adelaide as Golf SA Auditors. 18 hole stroke teams event with the best 3 scores of 4 recorded on each hole (pickup after 8 strokes). You will be grouped with a PGA Professional and two members of the same golf club. 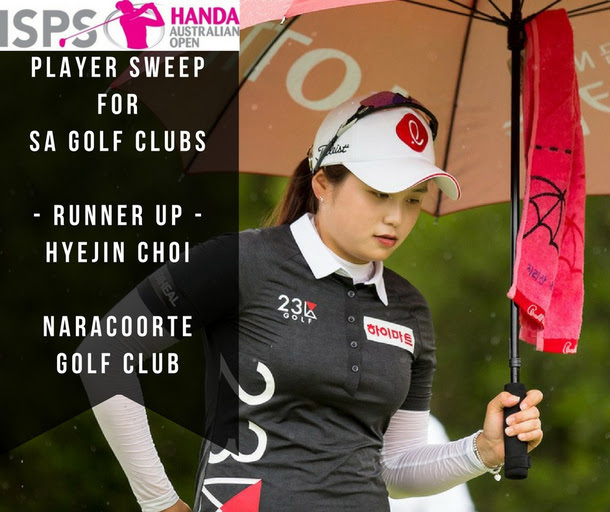 (Note: players must attend and participate in the Par 3 contest to receive prize). at the ISPS Handa Women’s Australian Open at Royal Adelaide Golf Club. A strong field of 99 players will contest the 2016 South Australian Men’s & Women’s Amateur Championship partnered by Host Plus. The first round of stroke play will be held on Monday 26 September at Tea Tree Gully Golf Club, while the second and final qualifying round will be played at The Grange Golf Club on Tuesday 27 September. A field of 80 players will contest the Men’s SA Medal Event. The leading 32 qualifiers after 36 holes will continue on to contest the SA Amateur Championship Match Play at The Vines Golf Club of Reynella, with the final being held on Sunday 2 October. This year’s Championship promises to be a tightly contested affair, with 26 interstate players adding considerable depth to a field which features 32 players boasting a handicap of scratch or better. Among the favorites for this year’s title is Victorian Zach Murray, who won his home state Amateur title in 2013. Murray a national squad member and ranked 98 in the World Amateur rankings will be a strong contender. Defending Champion Lachlan Barker from Glenelg Golf Club, claimed the Malaysian Amateur Open in May this year and will be looking to continue his fine form. Kooyonga’s Will Somerfield has had a fine season as is currently leading the SA Vardon Trophy over Barker by .05 strokes. With Q School beckoning, Somerfield will be keen to finish his Amateur career on a positive note. Others to watch are Blake Windred (NSW), Blake Proverbs (QLD) and locals Mathew Lisk (The Grange), and 2015 medallist Sam Earl from Glenelg Golf Club. A field of 19 players will contest the Women’s Championship, with 11 interstaters. The women’s field is wide open with local Ella Adams the lowest marker off plus 2.1. Elysia Yap from Glenelg and Jin-young Yun from The Grange are other local hopes. 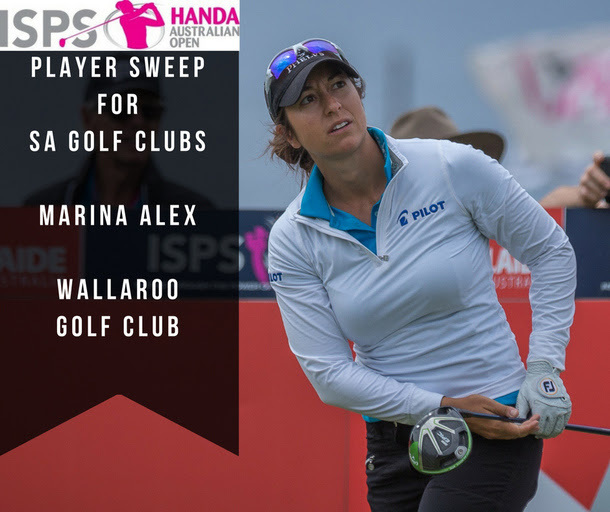 Zara Woodbridge from Royal Melbourne will be a contender along with 2014 SA Women’s Champion Kono Matsumoto from Victoria Golf Club. 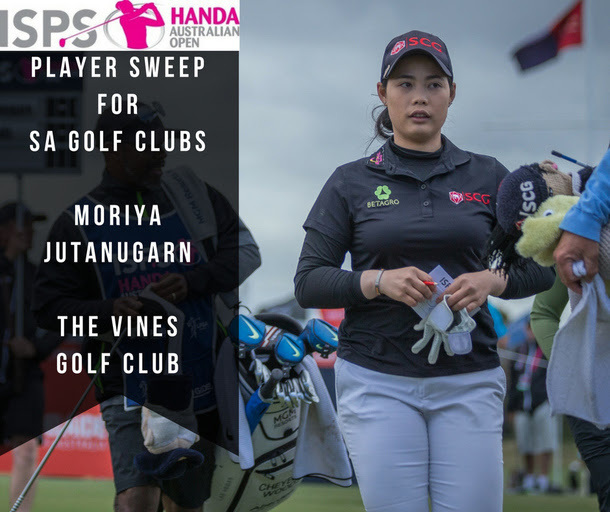 The women’s field contest the Medal rounds over 36 holes, before the leading 8 players progress through to the Amateur Championship match-play rounds at The Vines Golf Club of Reynella. For all Championship draws click here the tournament event page on the Golf SA website. The SA Medal and Amateur is the pre-eminent individual championship for an amateur golfer in the State. The Men’s Amateur Championship has an unbroken history dating back to the inception of the South Australian Golf Association (SAGA) in 1905. There were two periods of recess (1914-1918 World War I & 1940-1945 World War II). Records indicate that the Amateur Championship was played from 1900-1904, although not under the auspice of SAGA. The name of the Amateur Champion is placed on the SAGA Honour Board. The Women’s Amateur Championship dates back to 1902 when it was played as the Ladies’ State Championship. It was conducted under the auspices of SAGA from 1905 to 1929 when the South Australian Ladies Golf Union (SALGU) was formed as a separate entity. There were two periods of recess (1914-1918 World War I & 1940-1945 World War II). In 2009, Golf SA combined the Men’s & Women’s Medal & Amateur Championships into one consolidated event. The Medal is a stroke event that leads to qualification for the Amateur – a match play final – where the winner is declared the South Australian Amateur Champion. 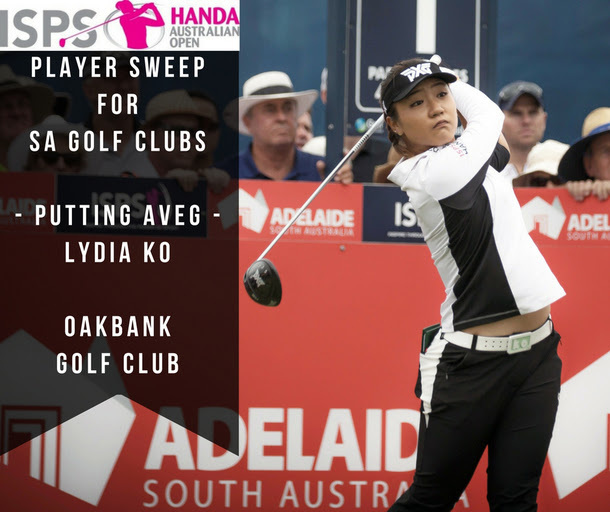 One of Australia’s premier sports events, the ISPS Handa Women’s Australian Open, returns to Adelaide from 16 – 19 February 2017. Royal Adelaide Golf Club, this year’s host venue, has the terrain, design and visual appeal to ensure it sits comfortably in any conversation about the world's best city courses. It’s consistently rated in the Top 10 courses in Australia and has hosted nine Australian Opens. It will also be celebrating its 125th year in 2017, so it’s only fitting that the world's leading female golfers will stride its storied fairways in competition for the Patricia Bridges Bowl and a share of the US $1.3million tournament purse. We’ll be bringing you regular updates as we move towards that first tee shot on Thursday 16 February, starting with today’s communication that covers volunteering and hospitality opportunities, including the ever-popular ladies breakfast. 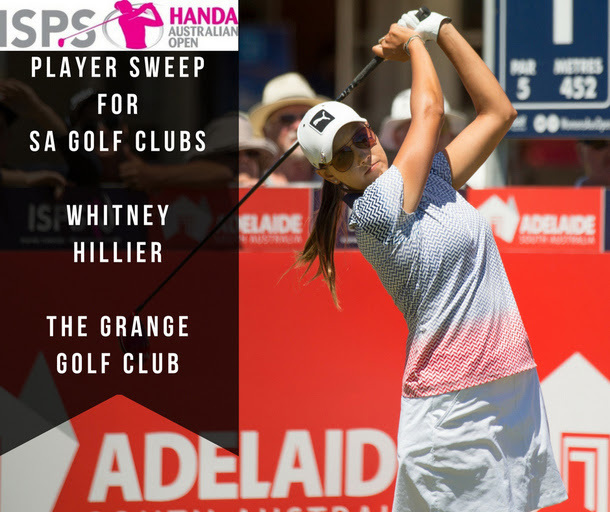 The Golf Australia Club is the ISPS Handa Women’s Australian Open daily corporate hospitality offering, hosted in the exclusive Royal Adelaide clubhouse, where tables of 10 are available for each day of the tournament. You’ll receive championship tickets and a gourmet lunch with premium beverages, whilst you’ll also see selected player appearances and interviews as they happen. You can stay up to date with the action as you relax, with screens showing every important putt holed. Guests of the Golf Australia Club receive a gift and a daily draw sheet, as well as a complimentary program that can be absorbed on the patio overlooking the 18th green. 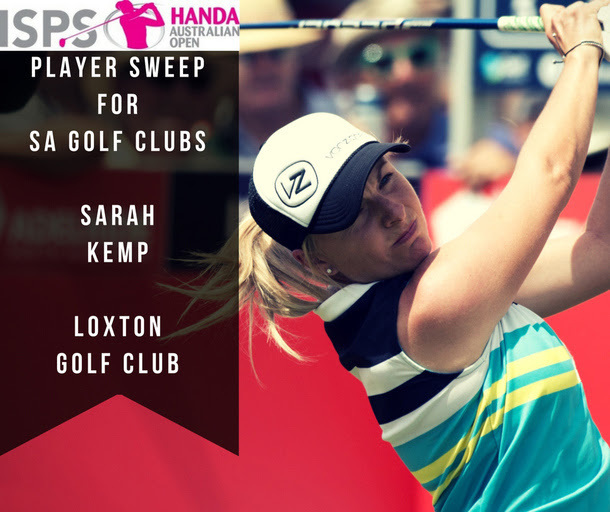 For more details, please go to www.womensausopen.com/corporate or contact meganf@golf.org.au. It’s been a momentous twelve months for women’s sport in Australia and, to celebrate, TV icon Kerri-Anne Kennerley will once again host the annual Ladies Breakfast on Friday 17 February. 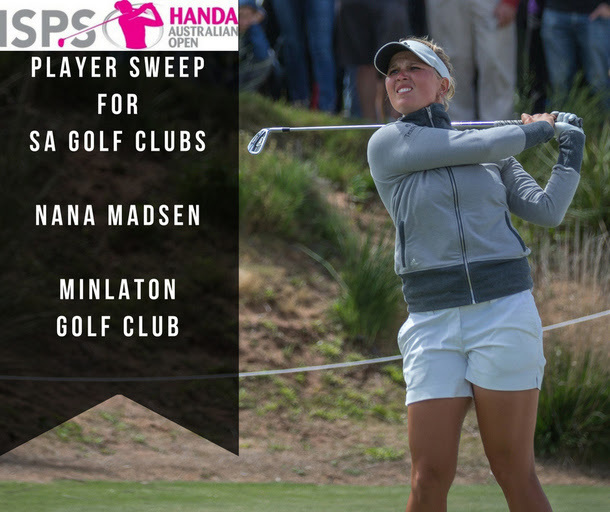 This is always one of the most popular elements of the ISPS Handa Women’s Australian Open, and provides a great opportunity to catch up with friends or entertain clients or colleagues. Enjoy humour, great company and light-hearted fun from beginning to end, including championship tickets, raffles, door prizes and gift bags. There will be a champagne reception and a plated hot breakfast, assorted pastries, juices, coffee and tea. As with the Golf Australia Club, for more details, please go to www.womensausopen.com/corporate or contactmeganf@golf.org.au. Glenelg has won the 2016 Simpson Cup after defeating defending champions The Grange 4.5 - 2.5 in a final played in arctic conditions at Glenelg. Despite the gale-force winds and extreme chill factor, the contest was tight throughout, with both sides giving their all to claim the time-honoured Cup. The final was tight early and after nine holes Glenelg edged ahead to lead 5.5 - 1.5. Glenelg led 1up in four of the matches and Henry Duregon was 2up at number six, while for Grange Justin Crowder lead his match against Ben Layton 2up. The number one match between Sam Earl and Matthew Lisk was all square. Glenelg secured the first match of the day 4&2, when Henry Duregon, who was elevated from Bonnar Cup to cover for Lachlan Barker, won his match against Scott Webb. The Grange hit back through Mark Demasi, who despite being 4 down through 11, fought back to win the final hole, to claim his match 1up against Ben Hallam. While Anthony Olsen was battling it out with Alex Hendrick at number five, Glenelg young-gun Jackson Kalz cruised to victory over Jack Thompson. Despite trailing 1 down thru 7, Kalz found his zone, to win 3&2 to secure a second point for his side. By this stage Olsen and Hendrick had progressed back down the first after being all square thru 18. Olsen would be the victor though, draining a long-range putt to move his side to one win from victory. Another epic battle was developing, at match three between Josh Hayes and Liam Georgiadis who were all square heading to the par-five 18th. Hayes was in serious trouble off the tee down the left side, and had to play his second with precision through trees to the practice fairway. Georgiadis put the pressure on stiffing one to within six foot. With Pro Max McCardle on his bag, Hayes made a miraculous up and down for birdie, hitting a delicate wedge over the hazard then nailing a fast 10 foot putt. Georgiadis had his putt for eagle to win the match, but pushed it just past the cup and had to clean up for birdie, to square the match thru 18. The lead was still 3-1 in favour of Glenelg, but Grange’s Matt Lisk was ahead in the number one match and the number two match was in the balance. As Georgiadis and Hayes then halved the first hole, Grange’s Justin Crowder missed a tricky downhill slider leaving the door open for Glenelg’s Ben Layton to claim victory. And that he did, letting out an almighty roar as he nailed his four-footer to win the Cup for Glenelg. With the two unfinished matches deemed square the official result was victory to Glenelg 4.5-2.5. Glenelg Captain Anthony Olsen, undefeated the past two seasons, was delighted with how his team performed in the final. “Today’s win is the culmination of five years of hard work. The coaching staff have led a program with a driven group of players that have brought a Simpson Cup home to Glenelg for the first time in 13 years.” Olsen said. “In a close contest, it was very pleasing to overcome a Grange side that have been dominant in this competition for the majority of this decade” Olsen added. The win is Glenelg’s 10th Simpson Cup and first A grade title since 2003. The Grange has won the 2016 Sanderson Cup, by defeating Kooyonga 3-2, claiming back to back A1 Pennant titles. The final played at Glenelg Golf Club in freezing and windy conditions, suited the underdog Kooyonga, who almost pulled off a memorable victory. All matches were tight early with The Grange having the ascendancy 3-2 thru 9 holes. First match in was Caitlin Roberts for The Grange winning 6&5 over Lisa Brien before Kooyonga’s Hayley Hunt proved too experienced for Jin-young Yun also 6&5. In match five, Jodie Deacon won three holes in a row to lead 2up thru 14, however her lead was clawed back by Louise Glennon, who went on to win the match 1up on the 18th to give Grange a 2-1 lead. After trailing Jean Foo, by two early, Kooyonga number four, Deb Percey held on in a cliffhanger to win 1up, squaring the ledger 2-2. It would all come down to the final contest between Cassidy Evreniadis and Lyn McGough. Evreniadis was 3up on the 16th tee and cruising to victory before McGough dug deep to win holes 16 and 17 to take the match to 18. The Sanderson Cup would be won on the final green with Evreniadis holding her nerve to nail her five-footer just outside McGough’s to claim the match 1up and the Pennant for The Grange 3-2. 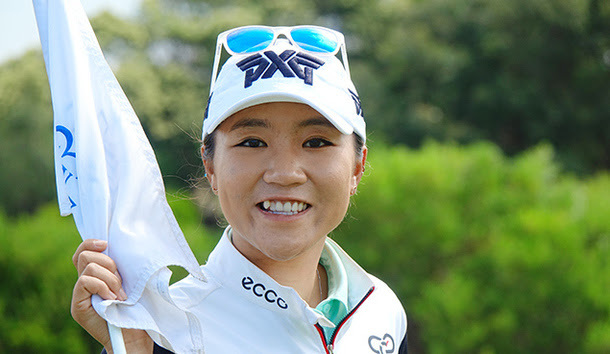 The Grange Team Captain Jean Foo, who along with Evreniadis and Roberts claimed her second title, was ecstatic with the victory. “I’m just really speechless with this win. We’ve got a great group of girls and have the best support from our Team Manager Kris (Tapp), and The Grange Golf Club. It was a tough day out there and it really could have been anyone’s game, but I’m very proud of the girls for getting it done.” Foo said. “It was a pleasure playing against great competitors. The ladies from Kooyonga should be really proud of themselves. Their spirit of competition and enthusiasm was second to none and there great camaraderie overall. “We’re definitely looking forward to next year, to continue our winning streak.” Foo added. The win is The Grange Golf Clubs sixth Sanderson Cup Women’s A1 Pennant title. With the match tied 3 all, Thaxted Park won the overall contest courtesy of number two player Kieren Barratt winning 1up on the 19th hole. Thaxted Park are now promoted to the Simpson Cup in 2017. 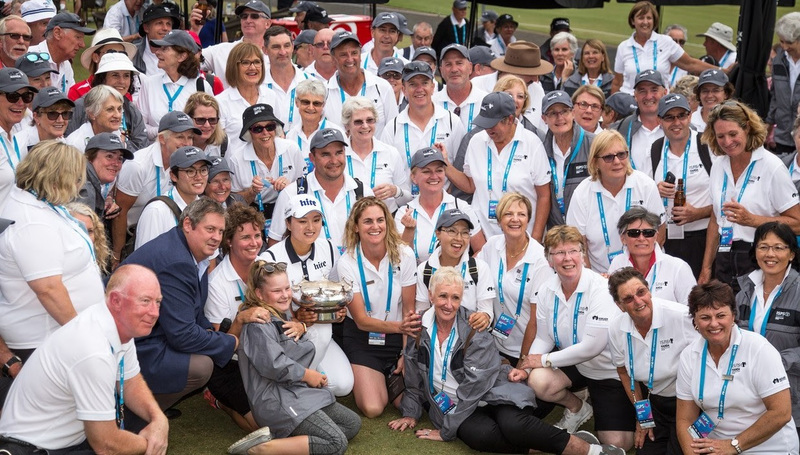 After finishing the season second on the ladder with four wins and a halve, The Vines team produced the goods in the final, to win the newly named Pike Cup, named in honour of the late Fiona Pike, who was a South Australian professional golfer who played on the LPGA, LET and ALPG tours for over 13 years. Arch rivals The Grange and Glenelg clashed in the Bonnar Cup final as well as the Simpson Cup final leaving nowhere to hide for arguably the best clubs in the competition. Final score was 4-3, with only a putt in the eventual result. Traditionalists Royal Adelaide took on Regency Park playing in its first pennant final. It proved to be a hard fought affair between the two clubs. Royal Adelaide finally ground its way to a solid victory. The highlight for all was David Cherry's grinding win 1 up! Is there anyone playing golf for his or her club that lives for the challenge more? Somehow I doubt it. Final score Royal Adelaide 5 - Regency Park 2. Junior powerhouse Glenelg met Country Districts in a display featuring some of the best up and coming junior talent in the State. The golf was punctuated by some fearless drives off the tees, extraordinary iron shots and laser like putts in windy conditions. The score line of Glenelg 4 - Country Districts 1 really mattered little at the end. What we saw was precocious talent pure and simple. Photo - Golf Australia Vision 2025: The Future of Women & Girls in Golf Strategy Roadshow. Golf Australia Vision 2025: The Future of Women & Girls in Golf Strategy Roadshow. *Who should attend the roadshow? Anyone involved in a leadership role in a golf club i.e. Captains (club & women’s), Presidents (club & women’s) and General Managers/Secretaries. *What will be included in the Vision 2025 Roadshow? 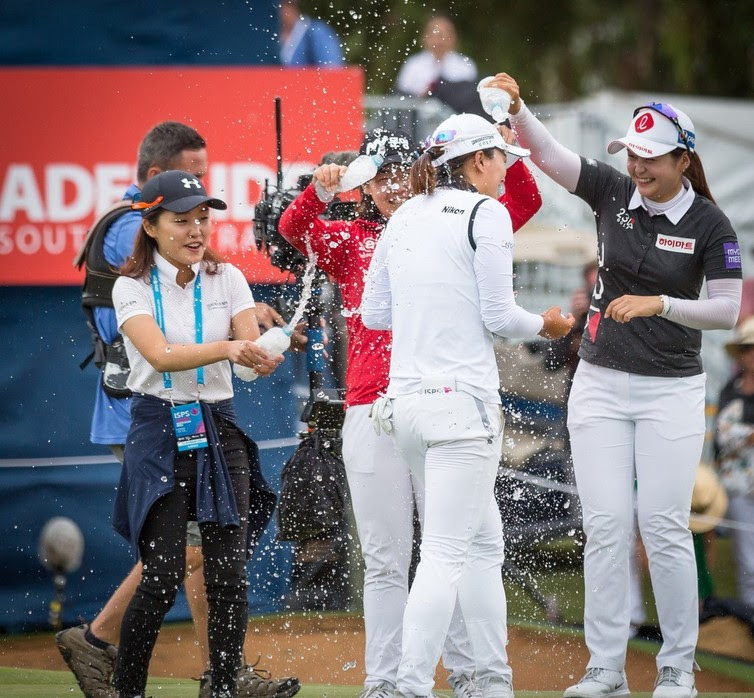 - Introduction to Golf Australia’s Vision 2025 Strategy - which positions golf a sport where women and girls are inspired to participate, feel welcomed and nurtured throughout, and empowered to achieve their goals’. - Introduction to the Australian Human Rights Commission’s Guidelines for the Promotion of Equal Opportunity in Golf - Ensuring golf club rules and governance are in line with state and national equal opportunity and anti discrimination laws is an important risk management strategy. Registrations for the 2019 South Australian Amateur Classic & Rene Erichsen Salver close this Monday 4th March at 5:00pm (ACDT). 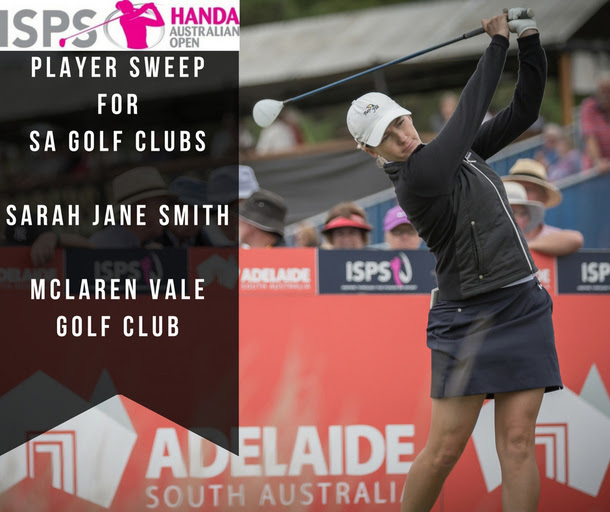 What a morning......Katie Seol from Tea Tree Gully Golf Club - Adelaide Hills, South Australia and Isabelle Watson from Willunga Golf Course and Golf Shop have started the ISPS HANDA Women's Australian Open. 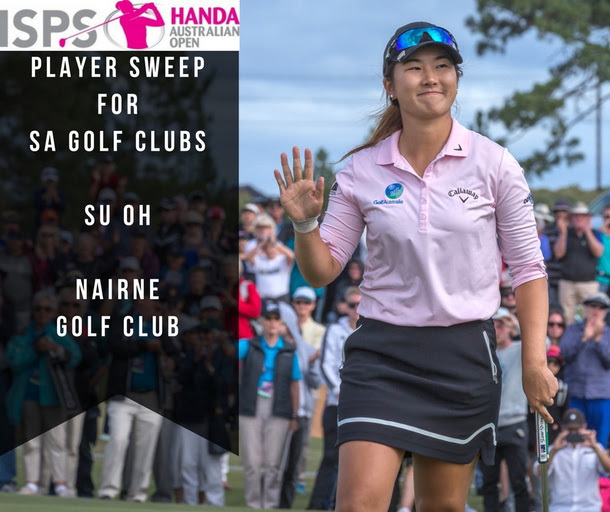 Two young girls will once again have the privilege of leading out the field at the ISPS HANDA Women's Australian Open. 7-year old Katie Seol from Tea Tree Gully Golf Club - Adelaide Hills, South Australia and 12-year old Isabelle Watson from Willunga Golf Course and Golf Shop are the lucky junior MyGolfers who have been selected to open the championship on Thursday morning as honorary starters from the 1st and 10th tees. Both girls have advanced through MyGolf junior programs, recently established handicaps and for the first time in December, participated in SA Junior Open stableford events performing strongly. Best of luck to both girls and have fun! Photo - WHAT'S ON AT THE OPEN? WHAT'S ON AT THE OPEN? Cooper's Roll Bar...Live music from 2pm daily...The Grange Garden for a refreshing drink. And free for the kids - MyGolf Kids zone with golf activities plus jumping castle, baby animal farm, face painting, balloon animals, ride on vehicles, karaoke, jukebox music, photo booth and roving entertainers! Photo - Lock it in 14-17 Feb! 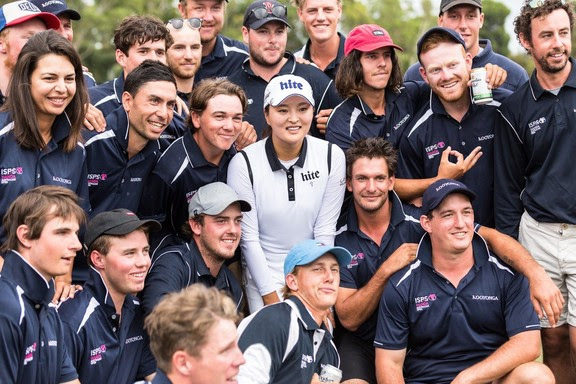 See the best golfers on the planet tee it up in #Adelaide. Lock it in 14-17 Feb! Last chance to register for the final SA Members Open Day for the summer on Monday 4 February at Glenelg Golf Club (registrations close 12pm Wed 30 Jan). Nominee 7 of 7 - Deb Percey from Kooyonga Golf Club "LIKE" the photo you think is the best or vote for your favorite player and the player with the most "likes" throughout the week, wins a Golf SA golf pack. Tag in your friends, your club and share. Week 6 winner announced on Fri 6 July. 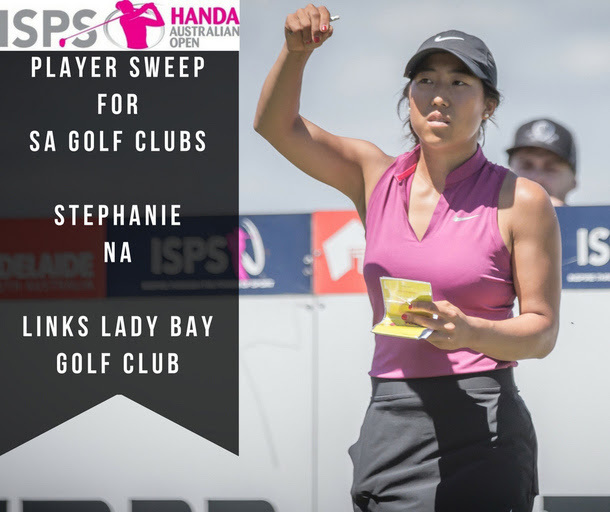 Nominee 6 of 7 - Shakira-ann Kuys from Glenelg Golf Club "LIKE" the photo you think is the best or vote for your favorite player and the player with the most "likes" throughout the week, wins a Golf SA golf pack. Tag in your friends, your club and share. Week 6 winner announced on Fri 6 July. 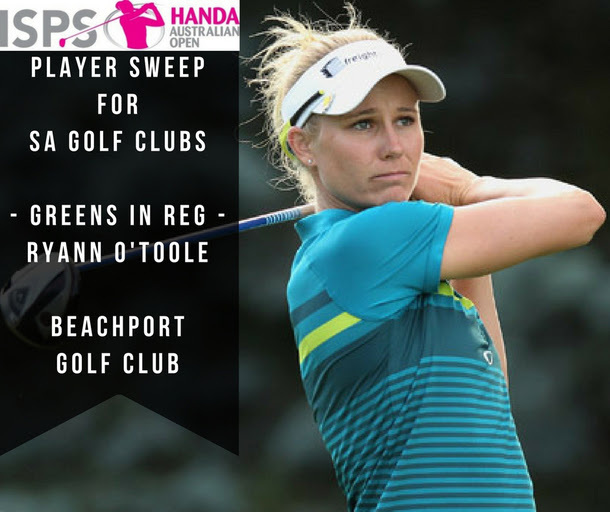 Nominee 5 of 7 - Louise Glennon from The Grange Golf Club "LIKE" the photo you think is the best or vote for your favorite player and the player with the most "likes" throughout the week, wins a Golf SA golf pack. Tag in your friends, your club and share. Week 6 winner announced on Fri 6 July. Nominee 4 of 7 - Riley Marshall from The Grange Golf Club "LIKE" the photo you think is the best or vote for your favorite player and the player with the most "likes" throughout the week, wins a Golf SA golf pack. Tag in your friends, your club and share. Week 6 winner announced on Fri 6 July. Nominee 3 of 7 - Matthew Rolton from Thaxted Park Golf Club "LIKE" the photo you think is the best or vote for your favorite player and the player with the most "likes" throughout the week, wins a Golf SA golf pack. Tag in your friends, your club and share. Week 6 winner announced on Fri 6 July. 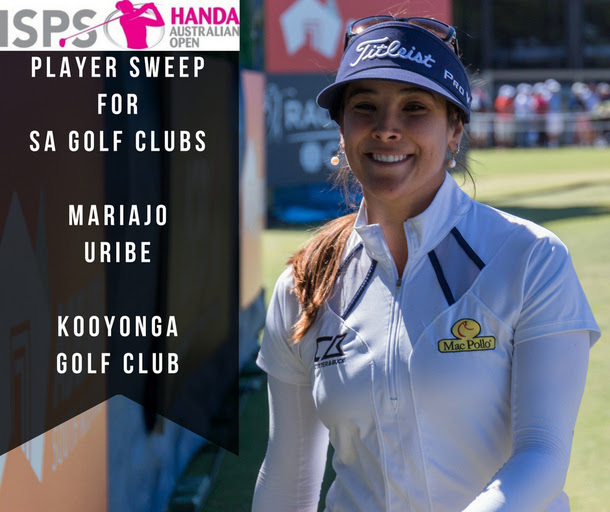 Nominee 2 of 7 - Darcy Salamon from Kooyonga Golf Club "LIKE" the photo you think is the best or vote for your favorite player and the player with the most "likes" throughout the week, wins a Golf SA golf pack. Tag in your friends, your club and share. Week 6 winner announced on Fri 6 July. Nominee 1 of 7 - Michael Munn from Glenelg Golf Club "LIKE" the photo you think is the best or vote for your favorite player and the player with the most "likes" throughout the week, wins a Golf SA golf pack. Tag in your friends, your club and share. Week 6 winner announced on Fri 6 July. Golf SA Pennant Simpson Cup - Round 6 Summary. Glenelg has secured the minor premiership with one round to play in the Simpson Cup and will be the only team with ‘nothing to play for’ apart from form, in the final round. Golf SA Pennant Sanderson Cup - Round 5 summary. Top placed The Grange will play Kooyonga and Glenelg will take of Royal Adelaide in next week’s Sanderson Cup semi-finals. The 2018 South Australian Aboriginal Golf Championship was playing in perfect conditions at the Sandy Creek Golf Club over 18 holes on Sunday 22 April. Nice feature in today’s Sunday Mail on the SA State Teams competing in the Interstate Series in Adelaide from May 8. Pineapple vs Beef – the battle of the beards. We’re claiming an Aussie victory and the MyGolf kids had an awesome time! Register now into a MyGolf Term 2 program. Over 15 facilities in South Australia are running programs starting from the beginning of May. Swing Fit is the fun, healthy and social way for women to learn and develop their golf skills. The PGA Pro-Am Series swing has hit South Australia with the Pro-Am at Flagstaff Hill Golf Club won by Simon Pope (68) yesterday. Events are then scheduled for Glenelg Golf Club 20 April, The Copperclub at The Dunes Port Hughes 21 April, Royal Adelaide Golf Club 23 April and Murray Bridge Golf Club 25-27 April. The event at Glenelg called Blitz Golf has attracted some household names including Craig Parry, Peter O’Malley and Richard Green plus Lucas Herbert, Jordan Zunic, Matt Millar, James Marchesani, Jack Wilson, Dimi Papadatos, Simon Hawkes and Michael Long and a host of locals including Antonio Murdaca, Max McCardle, Brad Moules and Peter Cooke. The short format is designed to provide all the excitement of a full 72 hole tournament in only 18 holes and in just one afternoon with some calling it the T20 version of golf. Players are split into two pools of 20 to compete over the first 9-holes. After the first 9-holes, both pools are cut to the top-12 players who advance through to round two and compete over a further 6-holes. A second round cut of a further six players halves each pool and builds the tension as the remaining players move into the third round to compete over 3-holes. After the 3-hole sprint, in round four the top-2 players in each pool meet at the 18th tee to compete for the title of 2018 Blitz Golf Champion and the lion’s share of the $45,000 purse. The afternoon at Glenelg Golf Club has so much more on offer for the viewing public too with a free junior clinic, free carnival rides, DJ’s, food trucks, the chance to win major prizes including a brand new caravan plus a wedge shootout for the professionals. Photo - Update - Australian Junior Interstate Teams Matches. Update - Australian Junior Interstate Teams Matches. In the (Boys) Rd 3 SA def ACT 3.5-1.5 and in Rd 4 SA def WA 3-2 with Jack Buchanan winning the deciding match 1up with Coach Wickstein on his bag. SA is in a four-way tie for 1st place with 3 matches to play. Photo - A mixed bag for SA today in the Australian Junior Interstate Teams Matches. A mixed bag for SA today in the Australian Junior Interstate Teams Matches. Girls Golf Rocks! Day 1 of the Golf SA Girls Golf Camp today with 31 girls having a blast being taught the fundamentals of the game by PGA Professionals Anne-Marie Knight and Sarah Douglass at the camp base at Scotch College. An advance group headed to Glenelg GC for some specialized coaching with Head Teaching Professional Jordan Harkin. This afternoon the girls played in an ambrose event at the North Adelaide Par 3 and had a heap of fun! Rd 1 & 2 of the Australian Girls' Interstate Teams Matches kicked off today in WA (Boys series starts Mon). SA girls had a fantastic win this afternoon in rd 2 defeating our good friends from Victoria 3-2!!! In round 1 this morning SA girls lost to WA 4-1 with three close matches including Charley Jacobs def last weeks Australian Amateur champion 1up. Congratulations to the winners of the 2018 Australian Boys’ & Girls’ Amateur Championship in WA. The Golf SA District - ‘Schools & Club visits program’ has continued in the South East with PGA Professional Gavin Fontainecompleting a week-long trip visiting 16 schools (521students) and 6 clubs. South Australian players scores after 36 holes of the 2018 Australian Boys’ & Girls’ Amateur Championship in WA. The Golf SA District - ‘Schools & Club visits program’ is underway for 2018 with Golf SA (in conjunction with Districts) arranging visit schedules to various regional schools during the day and then at the local club each afternoon/evening. Golf SA funds the program contracting a team of coaches to deliver MyGolf sessions in primary schools across the state, to introduce juniors to the game. Currently Nick McCormack (PGA) and Jan Douglass (Community Golf Instructor) who at our October Awards Night where recognized for 'Service to the South Australian Golf Industry' are on a week-long trip to the Eyre Peninsula visiting 8 schools and 4 clubs. On Monday Nick & Jan visited Cummins PS then Cummins Golf Club | Tuesday - Wangary PS and Port Lincoln PS followed by a session for new and improving players at Port Lincoln Golf Club | Today they visit Pooindie PS and Port Lincoln PS again, followed by a session at Coffin Bay Golf Club this afternoon/evening. | Thursday will see them at Tumby Bay Area School then Whyalla Golf | Friday they will be conducting sessions at Long St PS, Sunrise Christian School, then Whyalla Golf Club again. Each club visited is left with a range of game development opportunities it can pursue (supported by Golf SA) to continue to drive participation and development of golf in their region. Good Luck to the South Australian Junior State Teams who are on their way to WA to firstly tee it up in the 2018 Australian Boys’ & Girls’ Amateur Championship at Gosnells GC and Royal Perth GC respectively from 11-13 April. Golf fans will be able to follow all the action from every angle of the year's first Major Championship as our four Aussies; Jason Day, Marc Leishman, Adam Scott and Cam Smith chase the 2018 green jacket. Video - It's Masters Week! 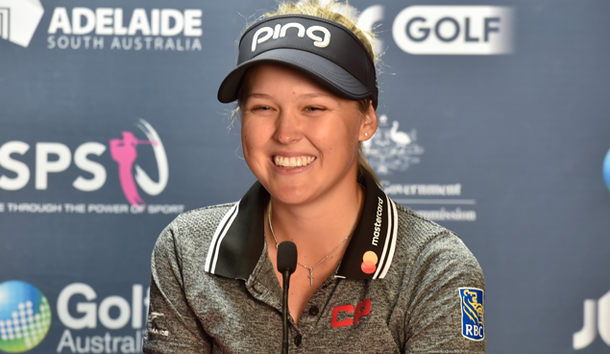 Global superstar, one of the most consistent performers on the LPGA Tour, proud Aussie and MyGolf ambassador. 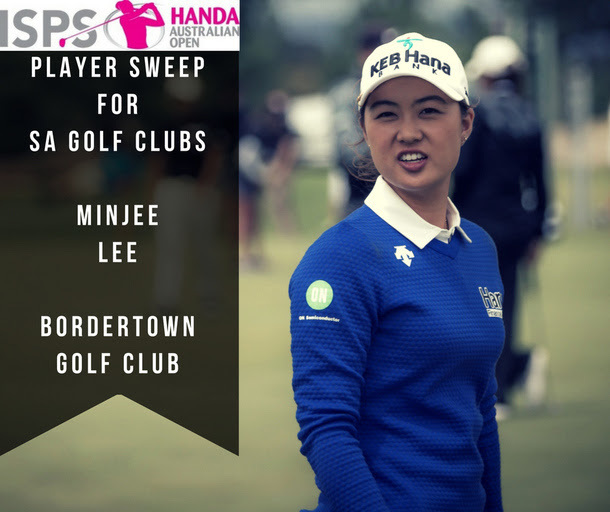 Thanks for showing the kids how it’s done Minjee Lee! Sign up for a MyGolf program at www.mygolf.org.au. > Sat 21 April 9:00am-10.15am at Mawson Lakes Golf Club with sessions the following four Saturday mornings. Check out Adelaide's own Ben Layton on 'Totally Wild' Children's TV show which aired Sat 24 March. The segment with Ben giving his expert tips on the mini golf course runs from 15:38 - 19.06. He's a natural isn't he?! Take note Wilders, we've got all your TW tips and tricks. How to behave at the zoo, perfect your golf game at the putt-putt course and make your own candy!